Shivaji Bhonsle died, probably of dysentery, at 52. His sons Sambhaji and Rajaram ruled the Maratha Empire after him. 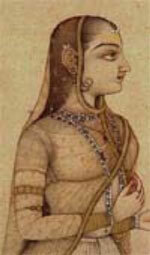 Rajaram’s mother, Soyarabai, tried to seize power, but Sambhaji killed her. Rajaram, like his father, got guns and cannons from British traders. He kept up the navy, too. His admiral Angre captured many British trading ships. After Rajaram died in 1700, his wife Tarabai, Soyarabai’s niece, ruled as regent for their young son Shivaji II. She had Angre’s support (and he kept on capturing British ships). Tarabai succeeded in expanding Maratha territory further north. But Bahadur died five years later. The Mughals collapsed. Shahu seized his chance to build a much bigger empire. Shahu chose government officials from all parts of society – not just rich men. So he got a good government and more equality. By 1708 or so, Shahu wasn’t running things, though. His Peshwa (a Persian word meaning “leader”), or Prime Minister, Balaji Vishwanath, and his admiral Angre had most of the power. Balaji created an efficient taxation system, and Angre brought in more money from privateering. In 1720, Balaji died, and his son Baji Rao became the new Peshwa. Angre defeated an attack by a combined British and Portuguese fleet in 1721. By 1739, even though Angre had died, the Marathas had driven the Portuguese out of most of India. But instead of capturing the port of Bombay (now Mumbai), Baji Rao made a treaty with the British to let them keep it, and trade freely with the Maratha Empire. When Shahu died in 1749, Tarabai took the opportunity to get back into power as regent for her grandson Rajaram II. Peshwa Baji Rao wanted power for himself. Angre’s sons remained allied with Tarabai, but increasingly fought for themselves alone, and in 1756 an alliance of British and Peshwa ships defeated the Angres. Tarabai went on fighting for power. Baji Rao died in 1740, and Nana Phadnavis took power, ruling as the minister for Baji Rao’s baby son, the Peshwa Madhav Rao. 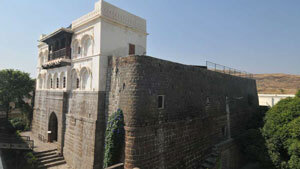 in After Tarabai died in 1761, Nana Phadnavis got control of the Maratha Empire. The Maratha Empire had taken over the land of the old Mughal Empire, and stretched from Kashmir (modern Pakistan) along the Himalayas to the Bay of Bengal, and south past Mumbai to Goa – it covered most of modern India. 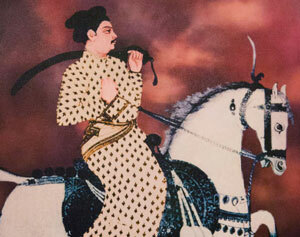 Nana Phadnavis spent a lot of time fighting off Ahmed Shah Durrani, who ruled Afghanistan and Pakistan and was trying to conquer northern India. After Durrani died in 1772, his empire fell apart, and stopped fighting the Maratha Empire. But Madhav Rao died of tuberculosis the same year, when he was only 27 years old, and Madhav Rao’s uncle Raghunath Rao, a successful general, took the opportunity to seize power from Nana Phadnavis. Most of North India broke off from the Maratha Empire and became independent, sticking with Nana Phadnavis. By this time the British were the strongest power around, so Raghunath Rao asked the British to help him (as the Saguntines asked the Romans to help them 2000 years earlier). In exchange, Raghunath Rao signed a treaty giving some key cities to the British. In 1782, the British agreed to replace Peshwa Raghunath Rao with a more popular Peshwa, in exchange for even more power over the Maratha Empire. North India, too, fell more and more under British control. 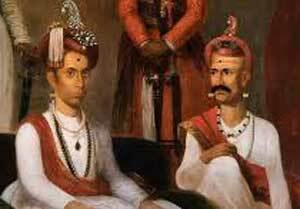 By 1802, as the British got more power in India, they were ready to take over more of the remaining Maratha empire. They got their excuse when Nana Phadnavis died, and Peshwa Baji Rao II asked them for help. This time the British gained the right to station British troops all over the Maratha Empire, “to keep the peace.” When various local governors objected, a war broke out. So the British took over most of the Maratha Empire, leaving the Hindus mainly Rajasthan (now along the border with Pakistan). In 1817, the British invaded what was left of the Maratha land without a pretext, just to take it over. This time they won a complete victory. The British controlled nearly all of India. Only a few small parts of the Maratha kingdom remained independent. Even they had to do what the British told them to do. In 1839, the British deposed Pratap Singh, and that was the end of the Maratha Empire. Cite this page: Carr, K.E. Maratha Empire – history of India. Quatr.us Study Guides, July 19, 2017. Web. April 20, 2019. […] why basically you are deleting other part of my Questions, and keeping what you want? I’m deleting the abusive parts, because I don’t support communicating in the abusive and disrespectful tone you are taking. I’ve had enough of your questions now, so I won’t be posting or answering any more of your comments until you say something that is 1) respectful *and* 2) cites at least one actual historical fact that corrects something in my articles. Vaguely menacing accusations are not worth my time. My citation is old, but I haven’t seen any evidence to the contrary: Jadunath Sarkar (1920). Shivaji and His Times (Second ed.). London: Longmans, Green and Co. ISBN 1178011569.